Can you send an image of what it looks like? Did you download DCS directly and have all necessary appvars? Oh, my bad. The folder doesn't have appvars you'd need to send to your calc. I have never seen this before but I know if you PM KermMartian he can help you! My OS is 2.55MP. I'll message him [Kerm Martian]. When I used DCS 7.2 on mine it worked fine. We value well-written posts, not txtspk. Please be sure to use complete sentences and proper spelling, grammar, and capitalization. You can proofread posts, including images, by clicking the Preview button after composing your posts. If you reply to yourself before 24 hours have passed since your post, you're "double-posting", and that's highly frowned upon. Please smash that "Edit" button on your post instead. Do you know exactly which buttons I should press, (and in which order) because I have literally no idea where my cursor is at any given time? For example, I tried to blindly navigate to the Retune button and ended up running a program I wrote using a tutorial (which was coincidentally from your book about programming for the TI-84 Plus). 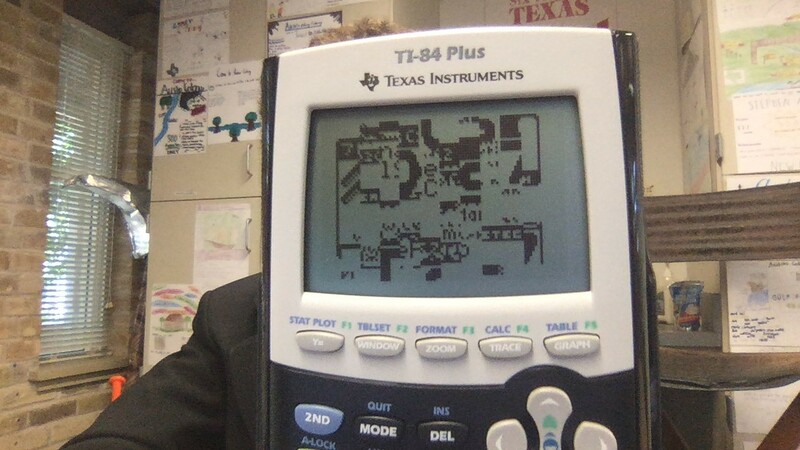 If you are unable to navigate Doors with the messed up screen, I would recommend using this program, which I have always used to fix my calc when it has issues like this. I'm not entirely sure if it will work in this case, but I know it does in other similar cases for games like Super Mario. I just tried it, it still didn't work; my screen looks almost exactly the same, give or take a few pixels here and there. Do you know of any other programs that could potentially fix it? I already have; that was one of the first things that I downloaded onto my calc. Besides, MirageOS can't run archived programs like Doors CS, and I want to be able to take advantage of that. MirageOS can't run archived programs. It can? It wasn't able to run zDoom when it was archived. At least I can use Homerun without having to blindly navigate the corrupted Doors CS homescreen and hoping that my cursor is over the right button. If you're only interested in Homerun, you could use Noshell. Ok, I'll check it out. I kinda do still want to fix my Doors CS so I can use CalcNET, and hopefully in the future, once I'm no longer a noob at programming, I can implement it into my programs. There are 163 users online: 1 member and 162 guests. © Copyright 2000-2019 Cemetech & Christopher Mitchell :: Page Execution Time: 0.142413 seconds.